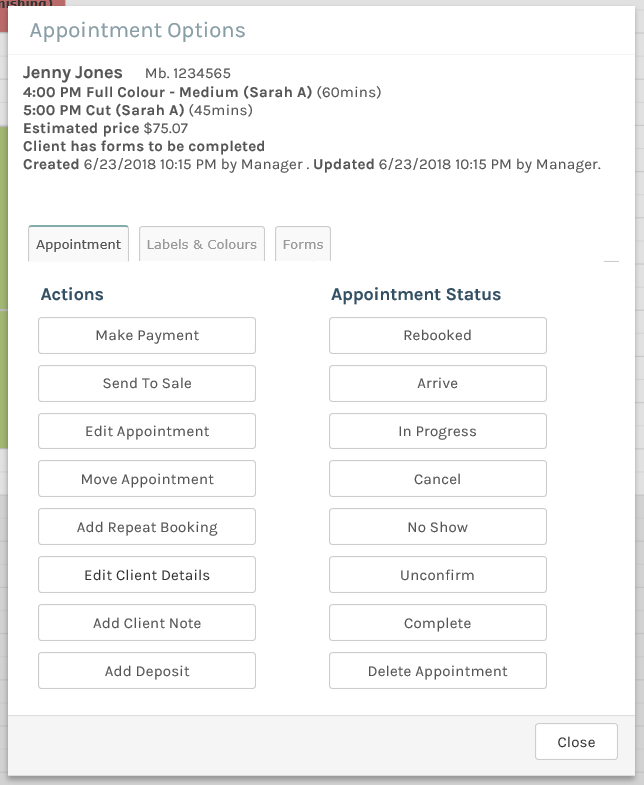 Need to manage an appointment you have already created? Follow the simple steps below to learn how. 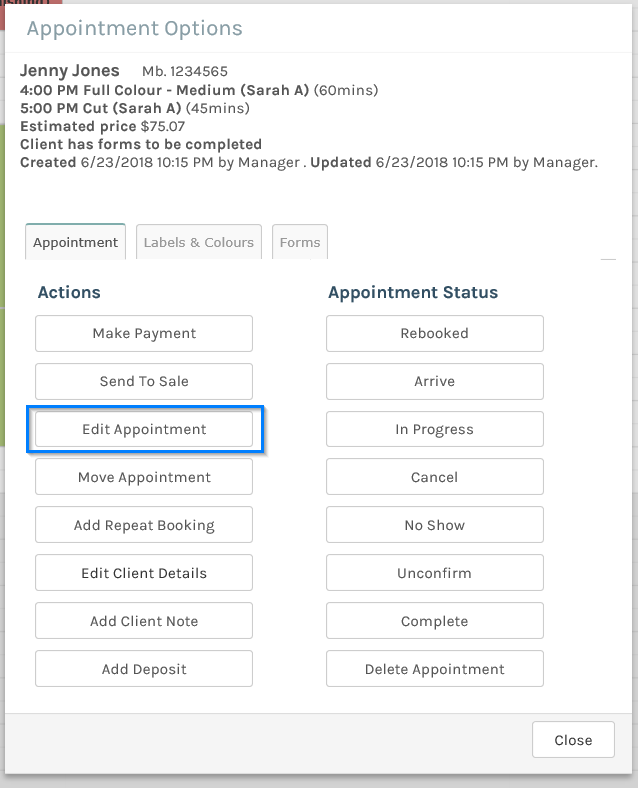 Once you have confirmed the appointment with your client, simply Click on the appointment on the calendar, be it in Day View, Week View or Month View. 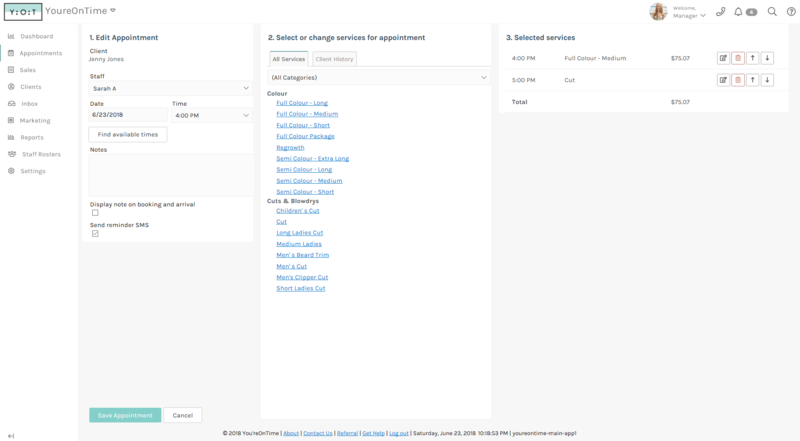 From the Appointment Option pop up you will be able to manage the existing appointment. You can update the status of the appointment, or take a number of actions, including editing the appointment. Click the Edit Appointment button from the Appointment Options. You will be taken to the Edit Appointment screen. Here you can change the client, staff member, day/time and service. When you have made your changes, click save appointment. Click the Confirm Appointment link to confirm the appointment in the system. The appointment block of time will change to Olive Green. Again, this can be changed via the Appointment Configuration screen. Once your client has arrived (or if you provide a mobile service and have arrived at your client's location), click on the appointment. This will prompt the Appointment Options pop up screen again. 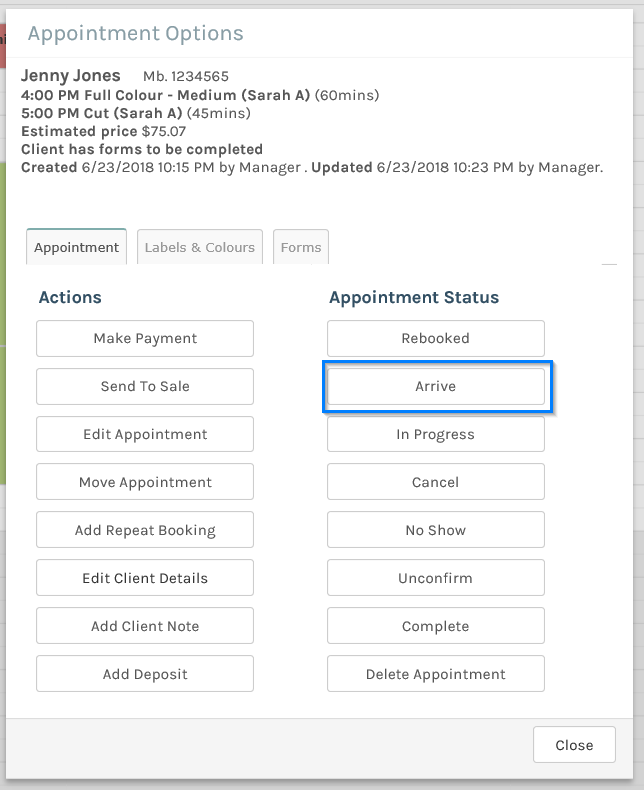 Click on the Arrive Appointment link to flag that the client has arrived. The appointment block of time will change to lime. 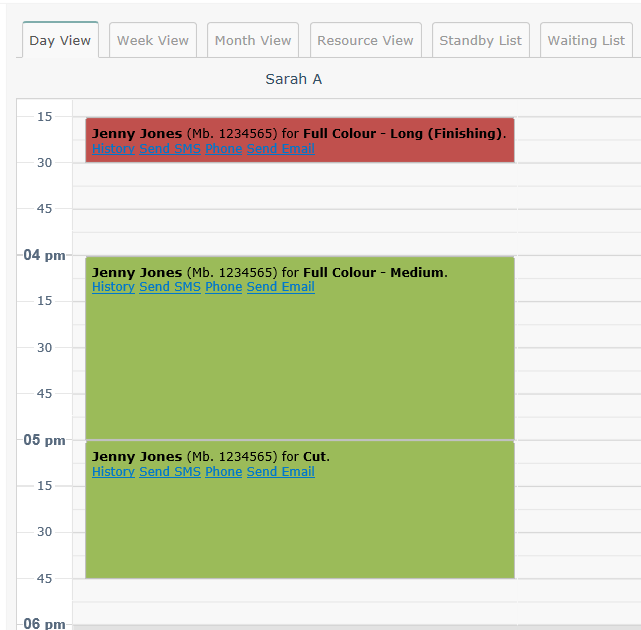 You can configure the colouring of your appointments, read our article here to learn how. Assuming all has gone well and your client has arrived and you have performed the services required, you can now perform a sale for the appointment.